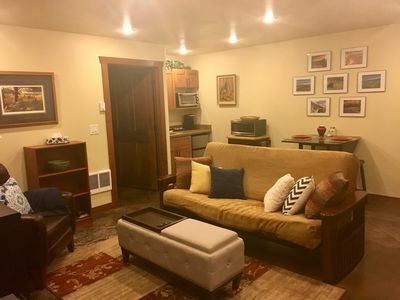 Located a short 35 minutes north of Missoula, the 3S Ranch B&B offers guest's a private getaway at the base of the beautiful Mission Mountains. 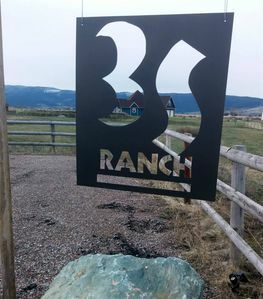 The 3S Ranch is a single client property. When you are our guest, you are the only guest on the property. Guests have full access to the entire home. 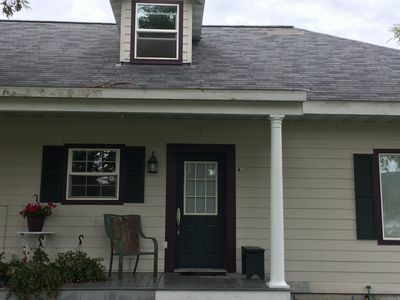 The home is newly custom built by local Amish craftsmen. It is designed to give guests amazing views. 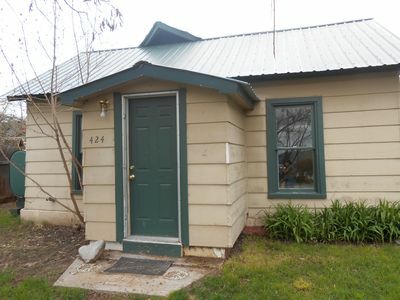 It is only 1 mile from the base of the Mission Mountains and sits on 10 acres. The home is only 3 years old, it's 1100 sqft (700 main floor, 400 sqft loft). 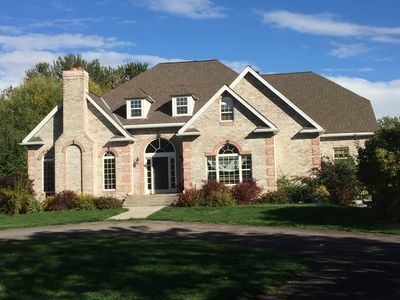 The main floor has a large master bedroom with a king bed, large closets and an en suite bathroom. The open railing loft has a queen size bed, and a log frame futon that opens into a very comfortable double sized bed. There is a half bath (toilet and sink) in the loft. There is one shower/bath in the home, in the main floor en suite. There is a full kitchen with hand crafted cabinets and granite counter tops. Guests have continental breakfast items stocked in the kitchen. The home is also mobility impaired friendly. The main bath has a walk in bathtub that can be used as a sitting tub or a standard shower. There is also a motorized stair chair that can take people safely up into the loft. In addition to the multiple dogs that run the house, the 3S Ranch also provides a safe and forever home for several rescue horses. "Princess" and "Prince" are older with some health issues that limit their ability to work, so they enjoy feeding in the pastures and getting treats from guests! Located in the Mission Valley, the 3S is with in two hours of all the incredible sites and activities to see in western Montana from Glacier Park to the beautiful Bitterroot Valley. We are just 30 minutes south of gorgeous Flathead Lake. Being centrally located means you only have to unpack once! We are on the Salish and Kootenai Indian Reservation, the area is peaceful and rural. It is a common sight to see the local Amish going up and down the roads in buggies and carts. The Ranch is also an alternative lifestyle safe and friendly environment. Escape The Hectic And Rejuvenate In Montana's Serene Mountain Splendor. Totally upgraded 2 Bedroom. Wood/carpet floors, propane furnace.